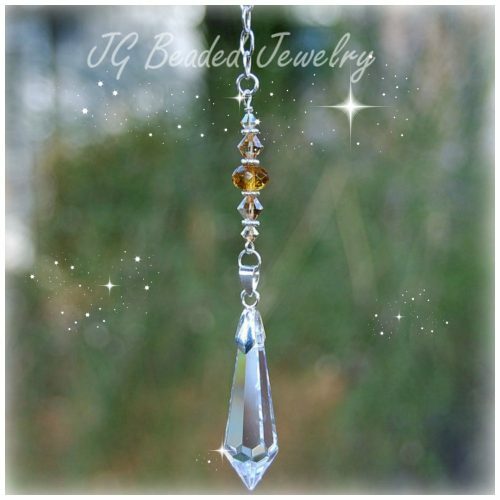 This golden amber guardian angel decoration can be hung on the rearview mirror, in a window, as an ornament or just about anywhere you’d like! 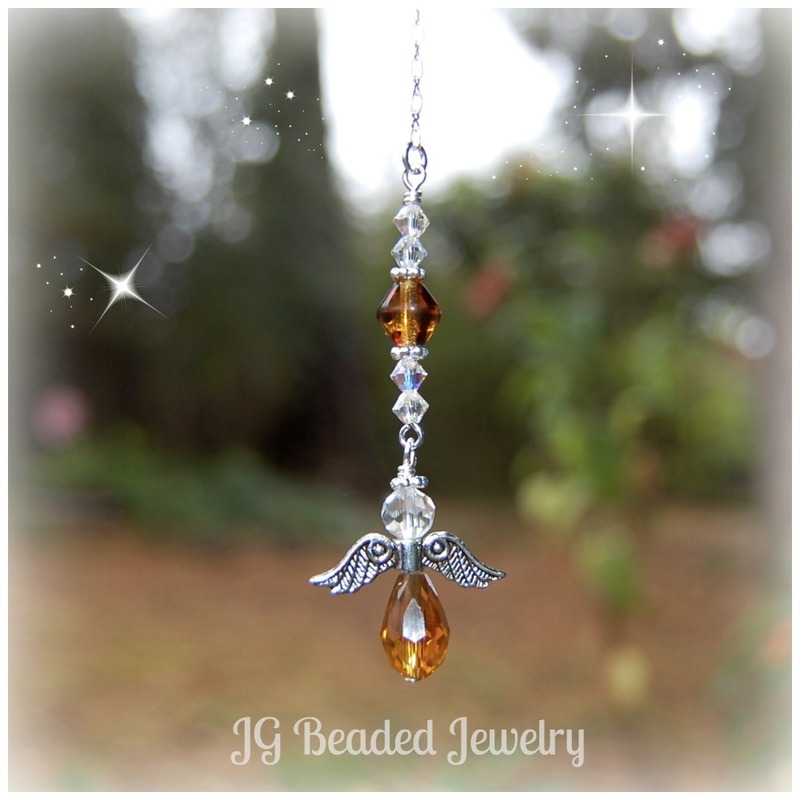 Made with detailed lead-free pewter angel wings, iridescent Swarovski crystals, golden amber colored beads, and fancy silver metal beads. Angels are perfect for a new driver or a thoughtful gift for someone who has experienced the loss of a loved one. 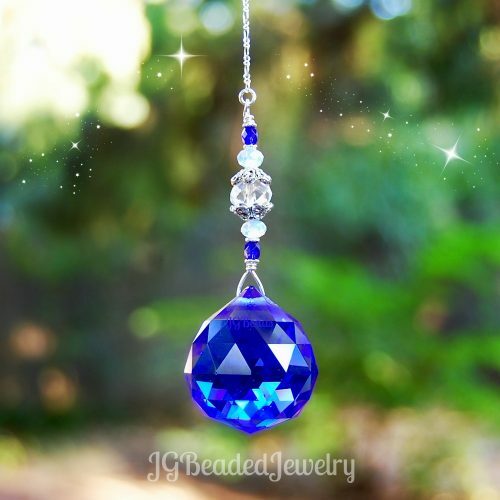 Custom requests are always welcomed, so please feel free to contact me.